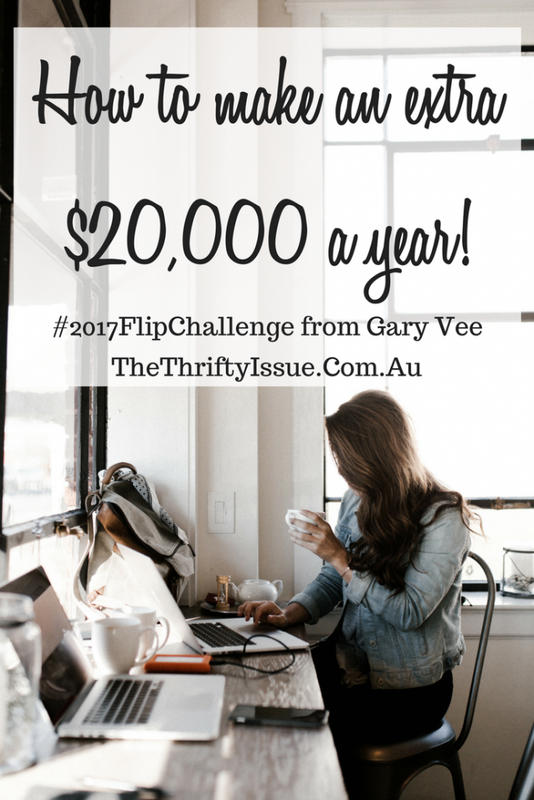 Could you use an extra $20,000 this year? An extra $20K would make a big difference to most families. It’s 1/4 of the ‘average’ Australian wage! The other day I was listening to a podcast from Gary Vaynerchuk where he mentioned he believes everyone is capable of making an extra $20K (well, $20,170 for 2017 to be exact.) He gave some suggestions and it made me think. I have some big travel goals, an extra $20K would make them all happen. With 10 months (or 42 weeks) left of the year, it works out to be $2k per month or $480 a week. (Update, after a few months of this challenge, I now make over $10,000 a month. Check out how here). So how do you get an extra $20,000? I have mentioned this before, it’s been a way I make money on the side for a while. I haven’t been too active lately, but in 2 weeks I made $388 with 16 items. With minimal effort, that would be over $10K this year if I kept it up. With a little more effort, this could easily be the one way to make $20,000 this year. How do you buy stuff to resell? I focus on clothes, particularly vintage/1950s/rockabilly clothing. I know which brands and sizes typically sell and for how much. Most of the time I get items for between $2 and $5, which resell for $20 to $50. Aside from op shops and garage sales, warehouses and clearance sales are also fantastic for getting items at ridiculously low prices then selling them for a profit. When I am in an op shop or at a garage sale, I check the SOLD prices on eBay first to see if this item has sold before. If it has I check how many of this item are listed on eBay and what they are selling for. If it is worth it, I’ll buy it. Once I get home, I prep and photograph it all then upload the listing on my phone. On average, this process takes me less than 3 minutes per item. I have a note I can copy paste with the bulk of the things I need in my listing, so it is simply a matter of taking the photo, using the eBay up and uploading it all in a few clicks. Make sure your photos are clear, your description is thorough and includes any issues/faults with the item. Offer to combine postage and state if items come from a smoke-free, pet-free home etc. With clothing, they often like measurements in the listing such as waist to hem, waist when laying flat etc. Have the eBay app on your phone and answer questions as they come up. Be quick, polite and concise. My preference for postage is prepaid satchels. I tend to sell only items that will fit in these as I buy them in bulk at a discounted rate and can post as soon as an item is paid for. Gumtree, Facebook marketplace, Facebook groups, Craigslist or other classified sites are all options for places to sell your items. I have had the most success with eBay, but it’s up to you where you list your items. – Never post an item until payment has been received. – If you’re selling a higher end item, you will likely get hit by a lot of scammers. If they want their courier to pick it up, work on an offshore rig, want to pay by any unusual or dodgy method, DO NOT DO IT! – Use the relist option. If your item doesn’t sell on eBay, it can be automatically relisted. I love this feature, as any items that didn’t sell the first time often sell in the second listing and I didn’t have to do anything to relist. – Items that have sold the best for me have been clothing, old school video games, books and Tupperware. – Anything that is a good brand, light and easy to post usually does well. – Check out how to sell your used stuff or space for more information and ideas. Can you rent a room to a boarder? Or list it on AirBnB? Can you rent your garage for storage or to a local business? (Check out how to make your mortgage pay for itself). Can you drive for Uber? Do deliveries for Deliveroo? What skills do you have which you can amplify such as freelance writing, admin skills can see you become a virtual assistant, blogging, offer ironing, clean houses, mow lawns etc. Check out 51 ways to make money from home for some ideas. Basically, get out there and hustle. Not as appealing for many, but if you are working 38 hours at your regular job and get a side job with 12 to 20 hours a week, depending on the hourly rate, you could earn an extra $20k. My preference is to look at side hustle options instead of a second job though. Research, apply for stuff and put yourself out there to find what works for you in terms of making extra money. If you set a specific goal of what you want to do, how much you want to earn and why, you are more likely to stick to it. Child care can be difficult, as can juggling the house, work, kids activities, family time etc. Find what works for you. Look at how you spend your time and work out if you are really making the best use of it. Do you sit down and watch TV or Netflix of an evening? You could use that time to list stuff on eBay, write articles or start a business. Can you do childcare swaps with other parents where you look after each other’s kids for a few hours or a day so you can each work? Whenever you get those pockets of time, make the most of it! Can you have an au pair or demi pair come and do child care and housework? An au pair is paid and does up to 40 hours a week, a demi pair is unpaid and does up to 20 hours a week. Instead of coming up with excuses, find solutions to those barriers preventing you from earning more then get out there and do it! Are you in? 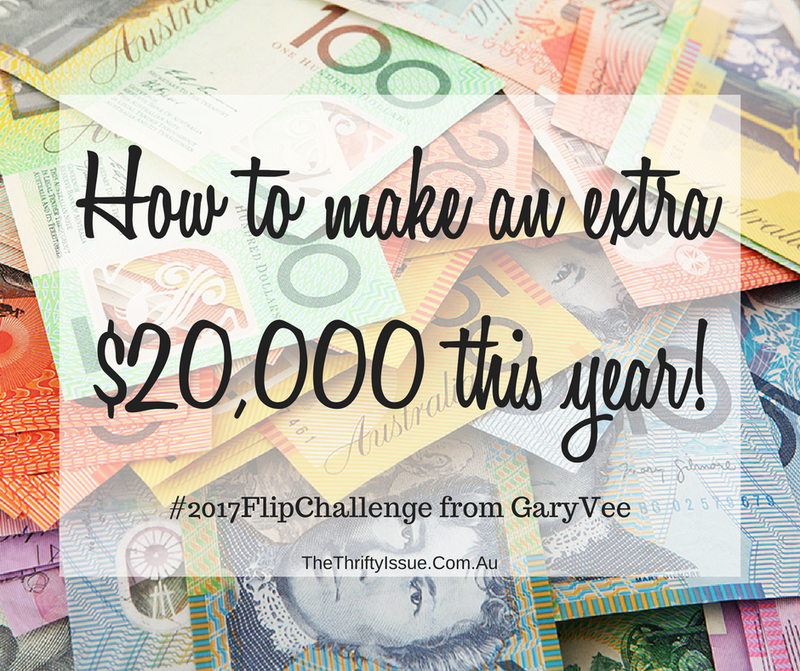 Do you want to see if you can make an extra $20,170 by 31st December 2017? I’ll update my blog with what I do, how much I make and track the ups and downs of my $20,170 challenge for 2017. UPDATE: I make over $10,000 a month from it. Find out how here.